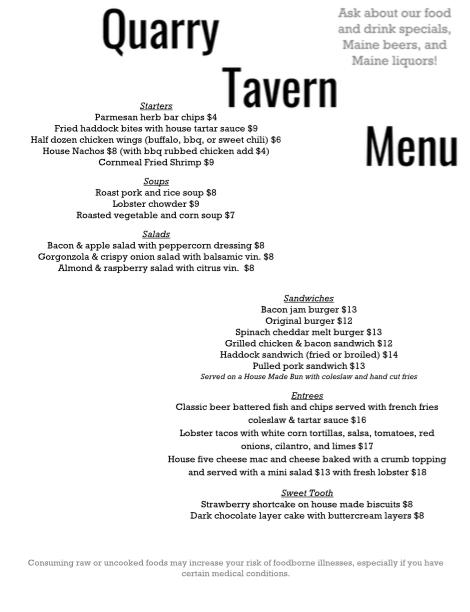 The Quarry Tavern will be open from November through April, every Friday through Sunday evenings at 5 pm! The Wan-E-Set Restaurant is closed for the winter. Please stay up to date on closures of either restaurant due to private events by following The East Wind Inn on Facebook! Call 207-372-6366 with any questions. See our current menus below!